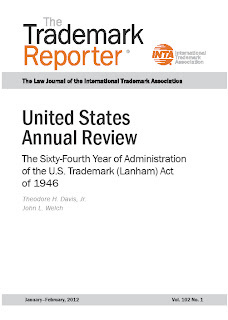 Ted Davis observes in the Introduction that "[t]he most notable developments in trademark and unfair competition law in the twelve months between the sixty-fourth and sixty-fifth anniversaries of the Lanham Act’s effective date related to the aesthetic functionality and utilitarian functionality doctrines." On the TTAB side of the fence, the claim of fraud on the PTO continued in its downward trajectory. The Board has yet to find fraud in any case since the CAFC issued its Bose decision in August 2009. The advice-of-counsel defense to a fraud claim came to the fore in MCI Foods, Inc. v. Bunte, making it even more unlikely that we will see a successful fraud claim any time soon. 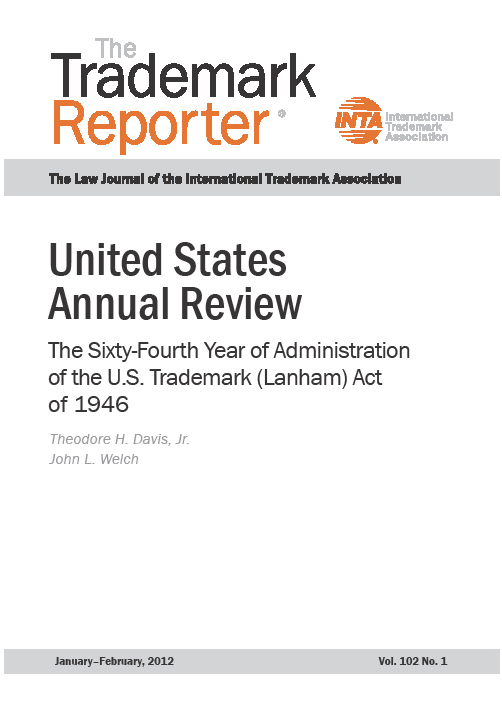 TTABlog note: Thanks again to The Trademark Reporter for granting permission to provide a link to this issue, which is Copyright © 2012 the International Trademark Association and reprinted with permission from The Trademark Reporter®, 102 TMR 1 (January-February 2012). Text Copyright John L. Welch 2012.